As those who like our facebook page or follow our instagram, will know, is that we asked for people to get in touch and share their stories with us. This is because September is Chronic Pain Awareness Month, and Invisible Illness Awareness Week! Sadly both will have no ended, but we'd love to hear more stories, so do not be afraid to share your stories with us! 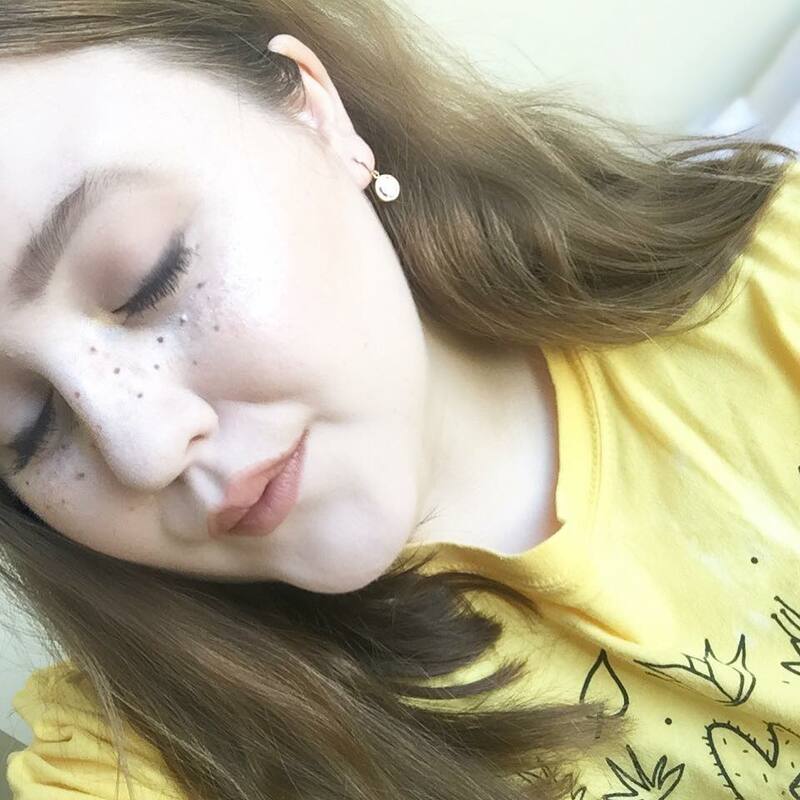 Here’s one of our stories sent in by a Niamh, a young teen, who has shared her spoonie life and her greatest achievements with being an NMO ambassador! Have you ever thought what it would be like to wake up sick one day and never get better? This is more than just a thought for me, this is reality. I am 15 from the uk and my name is Niamh. One day I was just sick, a high temperature and throwing up it was one of those "it'll pass" things and the next day I woke up completely blind asking my mum to turn the lights on. It wasn't the lights that needed to turn on it was my now permanently damaged optic nerve. I was diagnosed with Neuromyelitis Optica ten months later after a further two relapses – one of which left me paralysed for a few weeks. I slowly regained my feeling and strength and learnt to walk again but life was never the same. 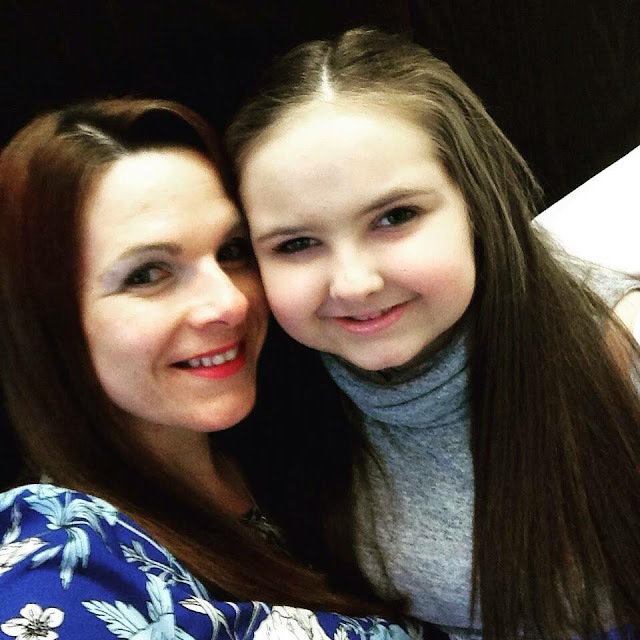 Diagnosis was a hard process because what I have is so rare especially in children - at one point there was talk that a brain tumour was causing my issues and my parents were beginning to plan my funeral! I was tested for the neuromyelitis optica antibody after ruling hundreds of other causes and it tested positive. I was put on immunosuppressive treatment to prevent my immune system from attacking my nerves in my spinal cord, optic nerve and brain. My challenging childhood was spent in and out of hospitals for various appointments and admissions but luckily my care team were all lovely and made the time easier to cope with. I had two more relapses while my medication was sorted out - I haven't had a relapse in 9 years but still face horrid symptoms everyday. However, I am now registered blind and NMO also affects my mobility due to spinal cord damage. I have been on steroids for the last year and a half and have had to come to terms with being in a wheelchair as I have lost so much strength from the terrible symptoms they've caused my body. This happened because they needed to increase my immunosuppressive medication, Azathioprine, but as I was growing, my body reacted badly to the increased dose. I became severely anaemic and they needed to stop the medication and put me on steroids to keep me stable. I am on a different immunosuppressant called Mycophenalate and trying to wean off my steroids but it’s a long process as my adrenal gland has kind of fallen asleep so treatment has been prolonged. One of the hardest things to cope was the weight gain I struggled with it because like so many others I had been brain washed that a body like the photo shopped photo were everything I wanted. Eventually I realised that there were bigger problems here than not fitting in small sizes. Problems like the constant chronic pain I suffer with in every part of my body the pain seems almost untreatable. Living a life in chronic pain while your body is busy trying to cause the next problem is utterly exhausting. These days I get fatigued just brushing my hair because it's so much movement. There are days where I can't even talk, walk, see or think because I'm drowning in the depths of fatigue and pain - these are the worst days. People take simple tasks like that for granted. I currently take between 20-30 tablets a day with other symptom control medication. And medication for the side affects of medication it's a vicious circle of symptom after symptoms. In year 9 my attendance was around 20% because I desperately needed my wheelchair but the school was not accessibleand I feared the bullying I experienced before. Bullying I wouldn't wish upon anyone. I've been a victim of real crime, hate crimes ableism which is equally as serious as racism but seems to go unnoticed. But I try my best to ensure that this kind of cruelty is punished like it should be by telling my friends how they can get help. Thankfully I started a new school with a lot of really great adaptations. I'm only doing around 6 GCSE's because I need to focus on my main topics to give my full potential. Before the pain, fatigue and brain fog my school work was brilliant but now I don't even know what day it is because I'm on that chronic illness timezone where you eat and drink whenever you can to boost your energy and take naps any time in any place. With the help of my visual impairment support teacher each lesson is made accessible. She recreates everything so I can access it physically and visually. Without the support of my 1-2-1 moving schools would've been almost impossible. I'm lucky to have the support that most people know nothing about and I'm determined to make it clear to others that it's okay to ask for help. I'm hoping that at this school there won't be any bullying. I understand now that these people are either curious or just problemed, nobody informs teenagers of the true issues chronically ill people face, so I share my story at any possible chance I get. My illness and the uncertain future ahead of me have caused quite a variety of mental health issues but thankfully since seeing my psychologist my mental health has improved. On September 30th 2016 I will be a year clean of self harm and that is a huge achievement for someone facing so much. My biggest achievement in life has to be the supportive friendly community me and a few international best friends created @YoungPeople_ChronicIllnesses. Our page has over 3000 followers on Instagram after only being up for one year. I share my journey with my followers and my co owners journeys living life with Neuromyelitis optica, Ehlers-Danlos Syndrome, Cystic Fibrosis, Post Transplant Lymphoproliferative disorder a form of cancer, Fibromyalgia, Complex Regional Pain Syndrome and lots of other illnesses. Our goal is to raise awareness of chronic, invisible, mental and terminal illnesses. 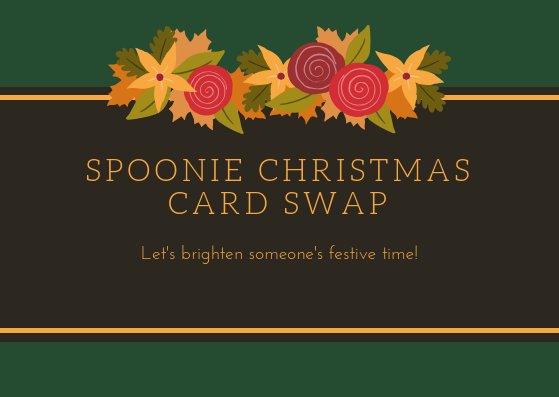 My favourite part of that community is the Spoonie Family whatsapp group that currently has around 30 people who are spoonies. A spoonie is a person who has a chronic illness it comes from The Spoon Theory. The spoon theory is a illness metaphor used to explain the reduced amount of energy available for activities of daily living and productive tasks that may result from disability or chronic illness. Spoons are an intangible unit of measurement used to track how much energy a person has throughout a given day. Each activity requires a given number of spoons, which will only be replaced as the person "recharges" through rest. A person who runs out of spoons has no choice but to rest until their spoons (energy) are replenished. Our page has changed our lives and it has changed so many others. We have even helped multiple people find out about illnesses and eventually receive a diagnosis after a life of being a medical mystery. We've helped normalise illness and make people realise they're not alone there is always someone somewhere fighting a similar issue. It's amazing what a community can do when they all come together. So many wonderful memories thanks to my page and it's all from the comfort of my bed while resting. I may not have a normal life but I sure as hell have a social media life and I'm happy emough with that. My social media platforms are my life because I rarely manage to leave the house so I don't know what I would do without my followers continuous love and support. I believe there should be more awareness raised about chronic illness there is so much stigma surrounding the topic you never know how powerful your words could be share your story, mention your illness do anything because unless people know then there's no hope for a cure. At the moment my health is a mix of ups and downs, good days bad days, great medication horrid medication. I just wake up and I take each battle as it comes because if I gave up lots of other people would too and our spoonie community needs each other. Some days I am just grateful to be breathing. It took me months to accept what was going on to me but it's life, it is what it is. I can do whatever I want I just have to do it differently. Want to be featured just like Niamh? Then please get in touch!